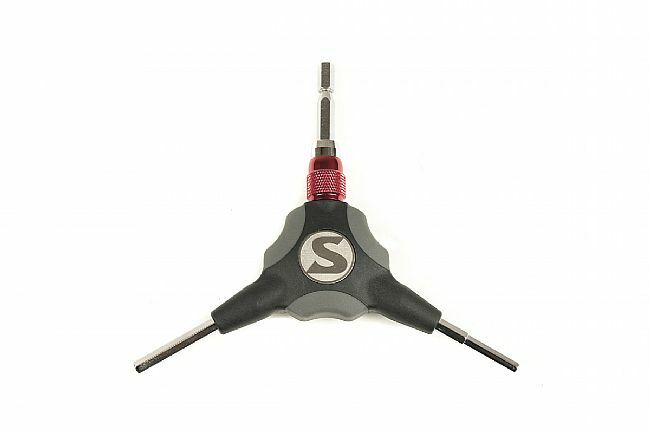 Silca's Ypsilon Wrench is a customizable and adaptable y-wrench featuring a 1/4-inch bit collet with secure magnetic fastening so it's easy to swap out bits as needed. The other two ends of the tool are 4mm and 5mm hex keys. 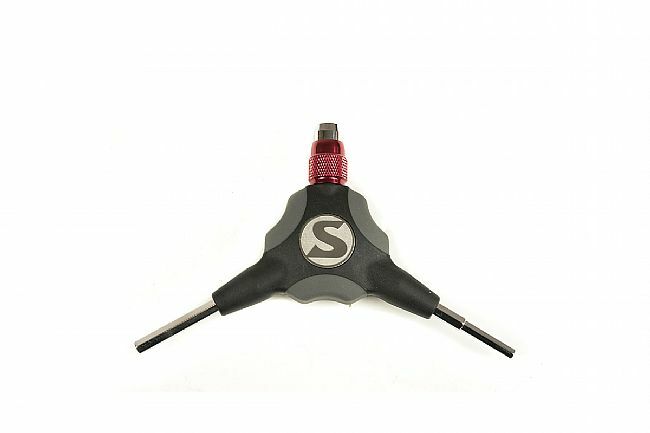 The ergonomic grips and overall shape of the Ypsilon offers superb control and stability over traditional hex keys. High strength CrV steel spine. Adaptable 1/4-inch bit collet with magnetic attachment. Fixed 4mm and 5mm hex.